It couldn't be more clear: We must continue to work and advocate for methadone maintenance treatment being available in EVERY community ON DEMAND for patients suffering from opioid addiction when they want/desire to begin treatment. 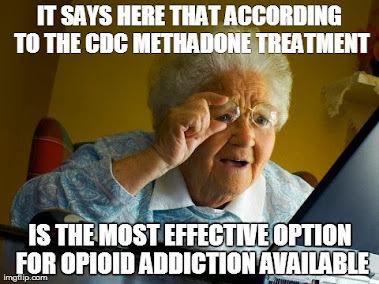 The National Institutes of Health (NIH) just released a study in conjunction with the U.S. National Library of Medicine that shows the longer the patients have to wait to begin methadone maintenance treatment the higher the risk of death until they are able to begin treatment. These statistics should move ALL people with a moral conscience to do everything possible to expand treatment, accessibility and affordability in every community in every country across the globe. How much more TRUTH in medical/scientific research and facts must be known before the stigmatization and misinformation plaguing the life-saving and life-restoring modality of methadone maintenance treatment will cease? Zac, this is what I am afraid of. It is bad enough that we have to drive 300 miles round trip and 6 hours on the road. D.B. will be 60 to ur 30 on the 13th. Thus, getting older, I have no idea what I am going to do, possibly try to detox down? I am doing that already, I don't want to be a statistic, at times I think I'd rather die than detox completely down. Reading your blog, speak the truth, we need younger advocates, as the majority of us are getting older. I absolutely *hate* that ANY patient who is receiving methadone treatment, especially someone who has made amazingly positive strides as a result of 30+ years on the therapy, would ever have to consider a medical taper due to financial considerations alone. That is, and has been, one of the greatest injustices of mental health & substance abuse treatment/coverage in the United States. The entire notion of a "Feetox" is unconscionable and a moral outrage. But, Maureen, don't lose heart or make any plans to taper just yet; The full implementation of the Affordable Care Act (aka "ObamaCare") this next January of 2014 will bring with it the largest expansion of mental health and substance misuse coverage in U.S. history. While the complete implications for Methadone Maintenance Treatment and Medication Assisted Recovery are still not 100% clear, most experts in the field (such as Joycelynn Sue Woods, MA, CMA, Executive Director of NAMA Recovery, NYC) believe that the implications are *extremely* positive for MMT/MAR. It is highly likely that no insurance companies, whether gov't like Medicare of private like United or Blue Cross Blue Shield, will be legally able to continue discriminating against Methadone Maintenance patients living in Medication Assisted Recovery. There *is* a silver lining, so have hope & don't lose heart! There are 2100 people here in the winter, 5200 in the summer months. On to my next blog. I am honored to have you as a reader of the blog, and I welcome your thoughts & comments. Your knowledge & perspective based on 30+ years of personal experience as both a MAT/MMT advocate AND patient are invaluable! 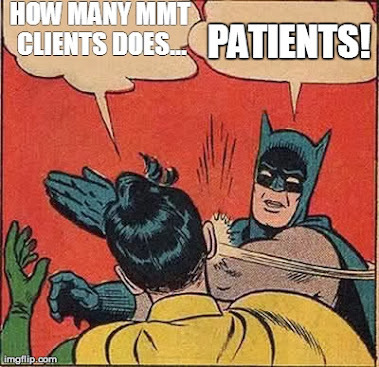 Your experience is, unfortunately, similar to those faced by MMT patients in countries around the world. The Canadian system is quite different than the treatment center model in the United States, and I am thankful that you were able to find a MMT provider (even though he is only in your area 1 day a week). One of NAMA-Recovery's goals, "To make treatment available on demand to every person who needs it," is still as urgent today as it was when the modality of Methadone Maintenance Treatment was first discovered in the 1960's. 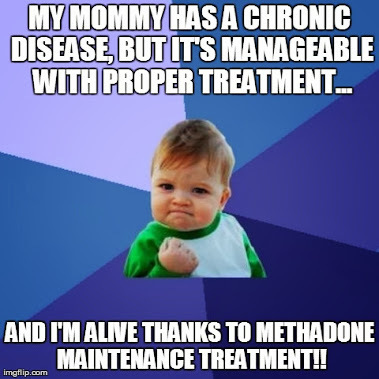 We *ALL,* patients and providers alike, have a responsibility to work towards this goal by doing all we can to create a more positive image about methadone maintenance treatment and promoting facts over misinformation and stigma.